In high performing work groups, the leader is seen by employees as dedicated to the mission of the enterprise at all times. The leader has a clear understanding that the responsibility of leadership is to accomplish goals though people. 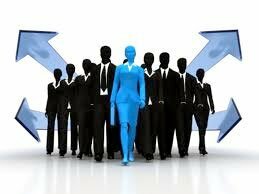 They distinguish between the leadership of people and the management of things and tasks. Compelling leaders operate thoughtfully in both modes. Most importantly, well-led employees expect excellence from their leader. These expectations are best summarized by General Colin Powell’s* definition of leadership: “Leadership is the art of routinely accomplishing more than the science of management says is possible”. Steps a leader should take to find personal success in his or her life’s work on a daily basis. Whether a leader does know his or her life’s work. Knowing how to harness and execute strategy when the unknowns will always outweighs the knowns. Knowing how to set the general direction without being ambiguous or micromanaging. Knowing how to create an environment where an ownership mentality exists to create a sustainable sense of urgency. o What Goals are Worth Achieving?